Do you want to create stunning sketch art directly from your phone, without putting tons of effort and hours into it? Well, thanks to this app, you can create beautiful works of art in under a couple of minutes. No more excuses for not trying to step up your profile photos, now you have all the tools needed to have a great looking set of self-made sketch pictures. 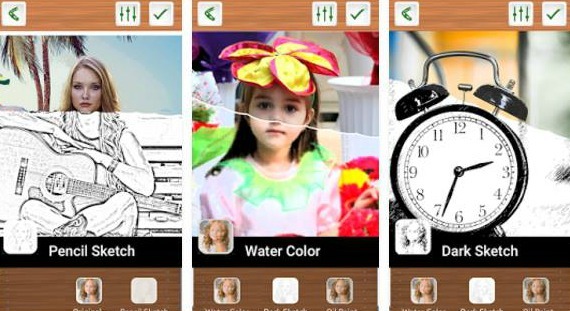 The Photo Sketch - Sketch my Photo app is completely free to download and use. It is a new android app that throws out all the other sketching apps right into the dumpster. Thanks to its cool tools and features, you can create excellent stuff with your fingers. Stuff that artists make in days is left available for you to do in just under two minutes. You can crop, rotate and flip your images, add effects like Water Color, Smooth Blend and Black & White, adjust saturation and brightness levels and post it on social media! The app is easy to use and intuitive. It has a great interface layout and design. You can find more about the app, as well as find and download it, directly on and from Google Play.